The Far West Local Health District has donated some defibrillators and vital signs monitors to South Rotary who then ship them to Donations in Kind for refurbishment and distribution overseas. 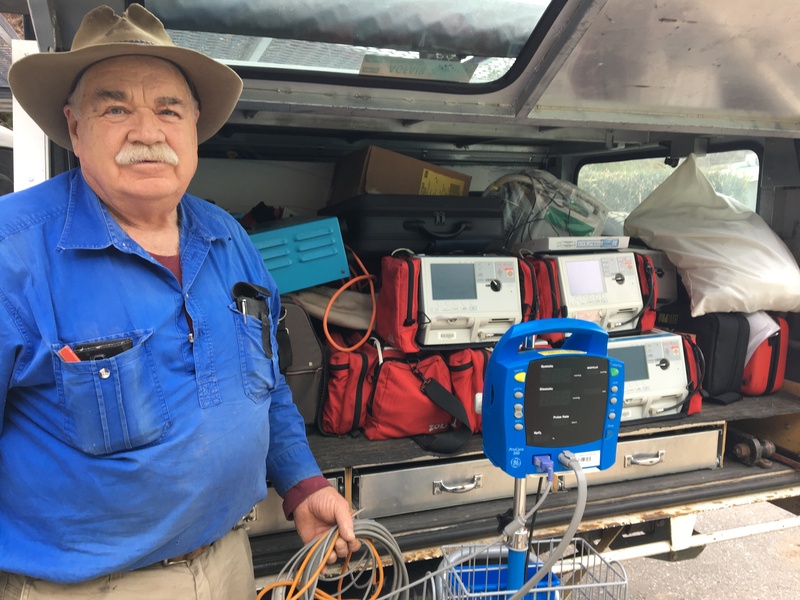 The equipment became surplus after the defibrillators were replaced by new devices earlier this year and the vital signs monitors were replaced by the recent donation of monitors by the Broken Hill Contribution Fund. Donations in Kind (DIK) is a program supported by Rotary Clubs in Australia which grew out of the compassion and concern of returning overseas volunteers. It is a recycling and reuse program that involves the collection, sorting, packing, dispatch and distribution of donated items to countries in need of these goods. Many goods and products, for which organisations in Australia have no further use, are valuable commodities in needy countries overseas and in some regions within Australia. The Far West Local Health District is pleased to be able to support this worthy cause. South Rotary’s John Coff is pictured loading some of the donated equipment from Far west Local Health District that will be sent to help overseas.